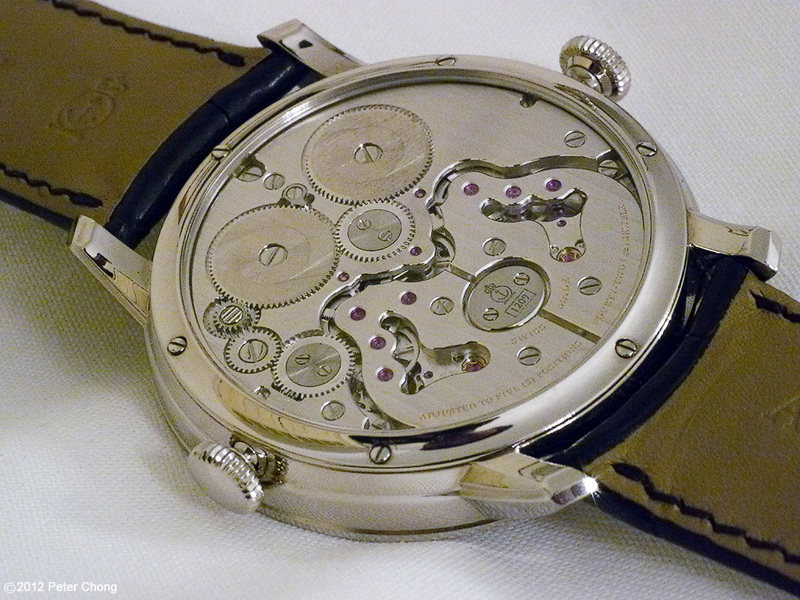 Watchscapes: High Resolution Photography by Peter Chong: Arnold & Son: Instrument watches. 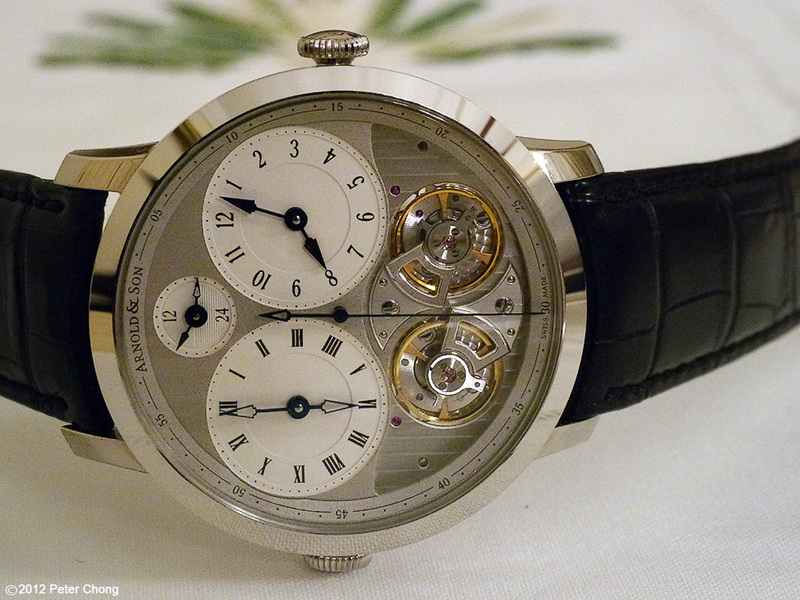 Arnold & Son was once a venerable name in English watchmaking. Perhaps with these new watches, they are coming back? Read on to find out more. 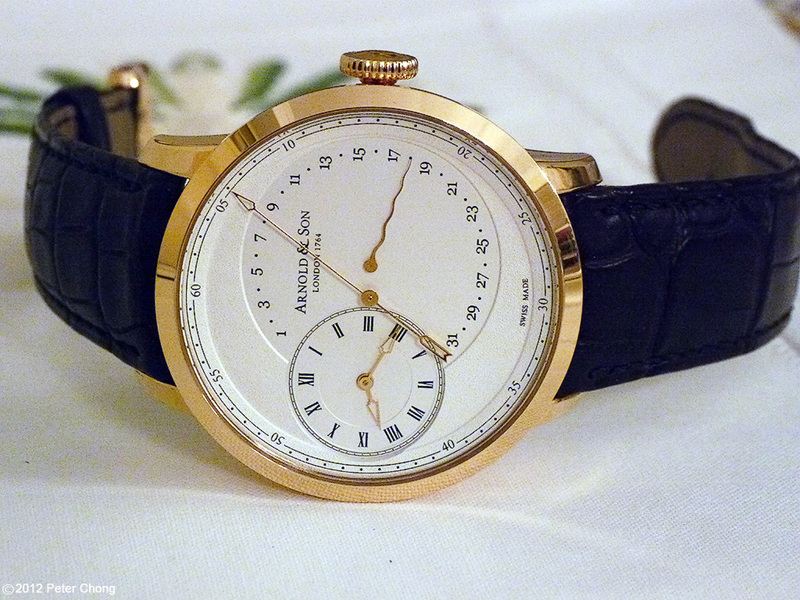 Arnold & Son in London circa 1787-1790. An old firm indeed...very little is published about their early works. But the name is now owned by a Swiss based company, making the watches in Switzerland. They were lost a bit immediately after the founding making complicated and hard to read and understand watches aligned after the pursuit for longitude. But recently, they are refreshed, and now offer some interesting pieces. Today, I pick two watches...actually 3, but more on this later, which piqued my interest. Quite a beauty. I particularly like the dial layout. Clean, unfussy. 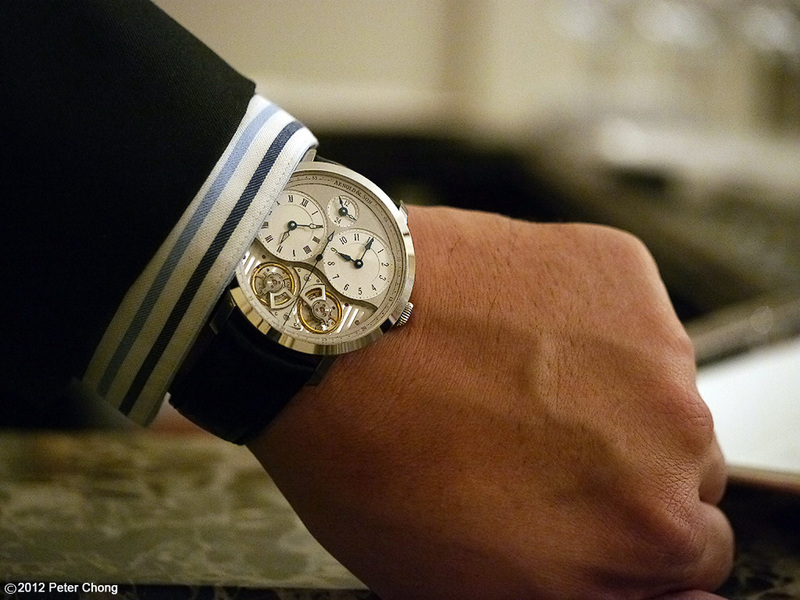 As a jumping second watch, it features the seconds as pride of the dial, taking centre stage. One side runs the sidereal time. The balance on that side runs such that the hour hands takes 23 hours, 56 minutes, 4.091 seconds to make 2 revolutions, and the side that runs solar time takes exactly 24 hours to do the same. Giving us instantaneous sidereal and solar time. This gives the movement a little trick up its sleeve. Adjusted so that both balances beat at 21,600 bph, both will run at the same rate, and the watch thus gives 2 timezones simultaneously. 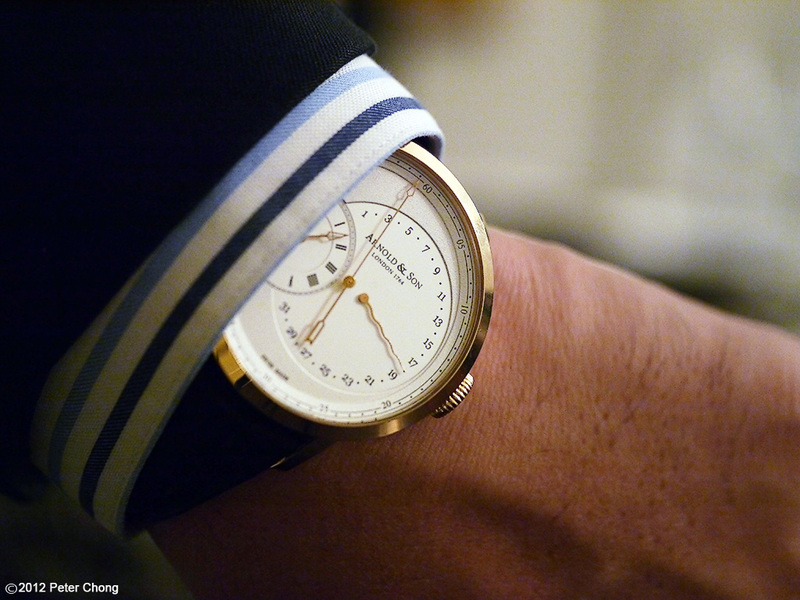 This watch is available in stainless steel as shown and rose gold, and is called the DBG. 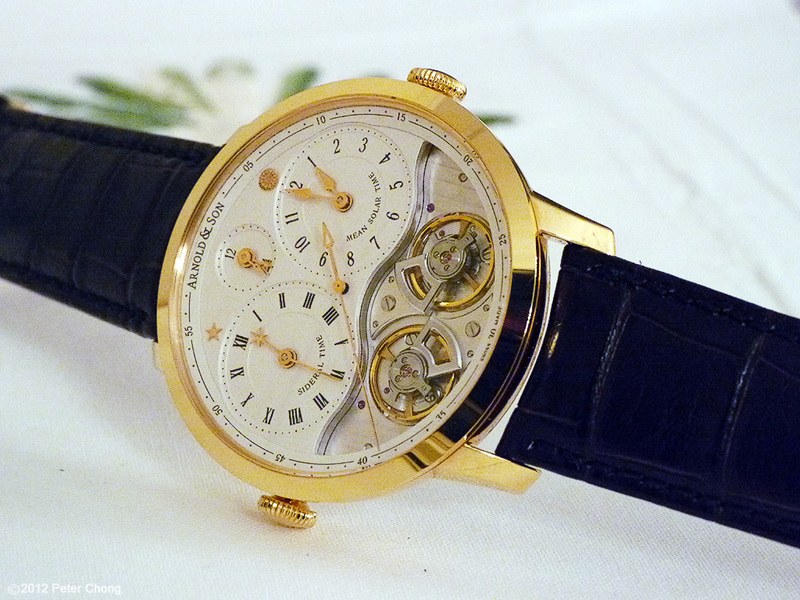 Thanks to Arnold & Son (Dennis Martinet) and Kevin Tan for arranging the showing and wonderful dinner.